We needed a builder to remove a wall and install a new kitchen. I would have no hesitation in recommending this builder. In fact I have already done so. They were very efficient, polite and friendly. The work was to a high standard and the kitchen is now a real feature of the house. Steve and Gary have completed two projects for us. A single storey extension and landscaping our rear garden. They are an excellent father and son building team who have a pleasant friendly attitude causing as little disruption as possible. 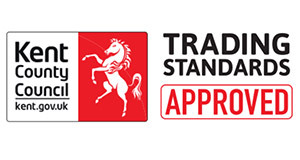 They used experienced tradesmen and the final product of work was to a very high standard. S Lee-Alliston and Son remodelled our front garden to provide a block-paved drive, brick steps and walling. It is completely transformed and receives many compliments! Steve and Gary gave friendly advice, a realistic estimate and professional service. I would recommend them and will call them again.